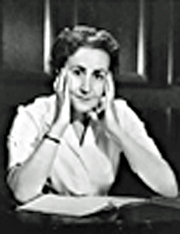 Sheila Philip Cochrane Burnford, née Every, (11 May 1918 – 20 April 1984) was a Canadian novelist. She was born in Scotland but brought up in various parts of the UK. She attended St. George's School, Edinburgh and Harrogate Ladies College. In 1941 she married Doctor David Burnford, to whom she had three children. During World War II she worked as a volunteer ambulance driver. In 1951 she emigrated to Canada, settling in Port Arthur, Ontario. Burnford is best remembered for The Incredible Journey, a story about three animals traveling in the wilderness (1961), the first of a number of books she wrote on Canadian topics. The book was a modest success in 1961 but became a bestseller after it formed the basis of a successful Disney film. Although The Incredible Journey is marketed as a children's book, and in fact won the 1961 Canadian Children's Book of the Year award, Mrs Burnford has stated that it was not intended as a children's book. She died of cancer in the village of Bucklers Hard in Hampshire at the age of 65. Sheila had very bright hair. Her eyes were blue and she had ginger hair. Sheila Burnford is currently considered a "single author." If one or more works are by a distinct, homonymous authors, go ahead and split the author. Sheila Burnford is composed of 9 names. You can examine and separate out names.